The Touch Screen Annunciator and Control Panel provides the ability to combine Input / Output control and monitoring of areas as defined by the end u_ser. Our custom programs developed with the latest Human Machine Interface (HMI) software and _hardware use_ custom graphics and familiar floor plans that make the system easily adaptable to many applications and easy to learn and use. 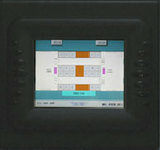 With the ability to network the system, multiple displays can be set up to control the application. alleviate the need for additional annunciators. Kouba Systems produces a variety of annunciators and control panels to monitor and remotely control a range of security devices. Styles include basic rack mount panels, desktop annunciators, custom control panels, and complex yet easy to use touch screen annunciators. 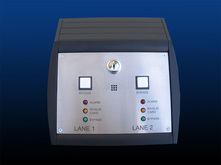 Please contact us for quote and details on a custom annunciator. 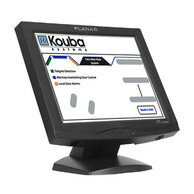 Kouba Systems Rack Mount Panels are 19" rack-mountable enclosures ideal for housing a variety of components for remote control or security system monitoring. These units are highly configurable to meet custom specifications, and are available with any combination of momentary action pushbuttons, maintained action pushbuttons, toggle switches, or LED's required for specific applications. Available in anodized aluminum with custom silkscreen graphics or stainless steel with custom engraved graphics.